It looks like the smaller half of the family is coming down with ‘flu, so quickly, quickly, before I have to be full-time Mama Nurse, here is a quick peak of what I have been playing with. My lovely friend Ms E has uploaded one of her designs to the Craftsy pattern shop: spinning card trick. I very rarely follow patterns, so I got a real satisfaction making sense of this one. I have used Ms E’s patterns before during her legendary quilting retreats and they are always wonderfully careful and clear. I wanted instant satisfaction, so this will be turned into a little mat. Go on! Try it! And support an independent designer in the process. 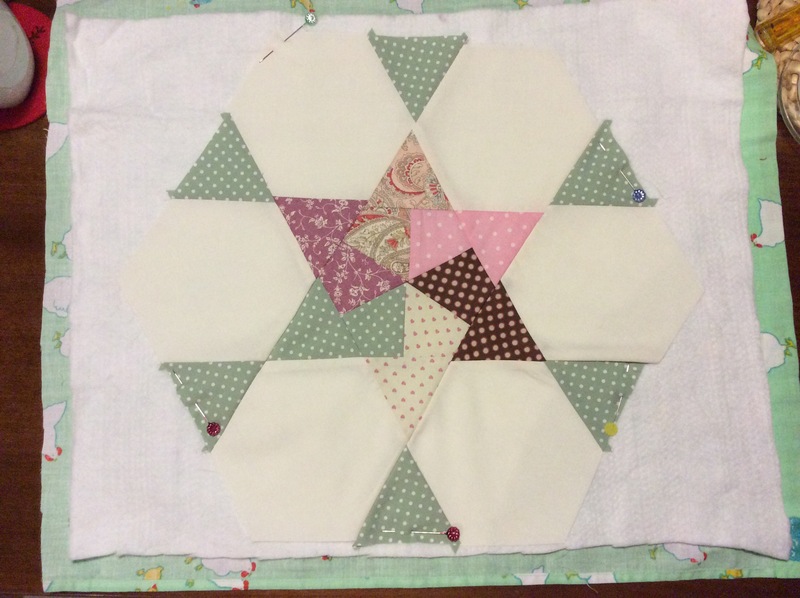 Now… How to quilt it? 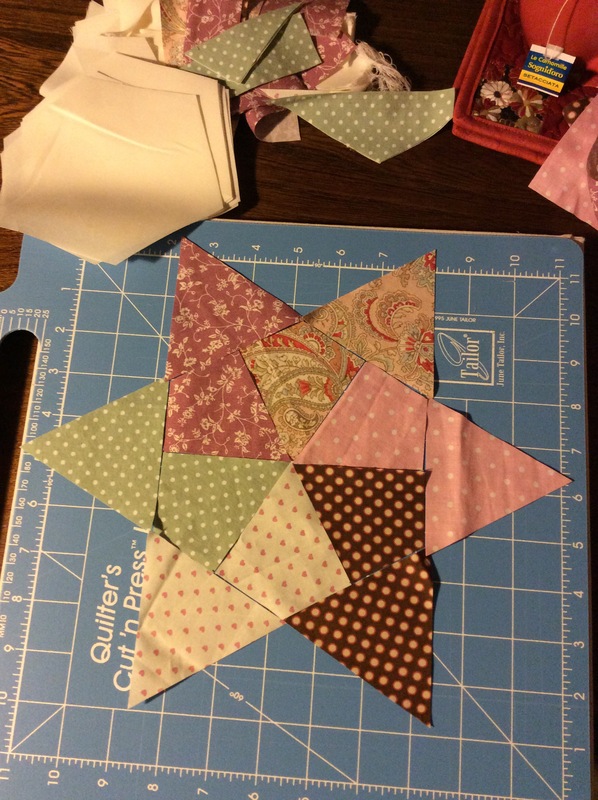 Happy piecing! Or nursing. JJ. Your pattern is so lovely! Can’t wait to bind it and use it. Keep designing, you are so clever.